Talking Voices is a podcast business formed from a talented team of podcasters working together with people in related media. Founded in 2006, Talking Voices works with artists, brands, businesses, institutions, educational establishments, publishers, communities, stations, channels and networks. We offer consultancy on podcasting in all its forms. We produce and run many major podcasts ourselves, and can provide complete technical, hosting and editorial solutions. We are skilled in the new PR tools which social networks utilise, and have successfully developed unique content and grown audiences many times over. We provide podcasting expertise, production, training and advice to businesses or individuals who want to get into podcasting, and offer support to the wider community. We also recognise that podcasting is not just a market, it's part of the wider phenomenon of social media, and linked to traditional media in some very obvious and also some very subtle ways. To be effective, you need this overview which we are able to offer. With our excellent production values, creative approach and sophisticated use of social media tools, we bring a good deal of enterprise and intelligence to the commercial podcast arena. Ewan Spence is Scotland's best known podcaster. BAFTA nominated for his Edinburgh fringe podcast, Ewan presents and produces the TPN Rock show for The Podcast Network, writes for several tech publications, and is managing editor of All About Symbian the mobile portal. Aside from music and technology, Ewan has a particular interest in conferencing and events, and this year will see him once again covering the interactive SXSW event in Austin, Texas. Ewan is based in Edinburgh. An accomplished composer and musical instrumentalist, with a background in music, television, print and graphic design, Mark Crook produces audio, video, and animation. One of the very first podcasters in the UK, he started podcasting in November 2004 and is co-founder of the UK Podcasters Assocation. 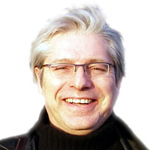 Brian is a podcasting, blogging and social media consultant with many years experience in radio. He began blogging in February 2003 and podcasting in March 2005, and is one quarter of leading Irish web development team doop. 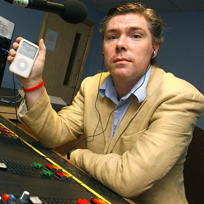 In November 2006 Brian won the first major internet award for podcasting in Ireland when he was awarded the Net Visionary Podcaster of the year. In March 2007 Brian joined forces with Talking Voices, producing podcasts and independent radio content for clients throughout Ireland. Since then, Talking Voices Ireland has gone from strength to strength, working for Microsoft, Rabobank, and the Irish Internet Association. Brian lives in Dublin, Ireland, with his wife and daughters.